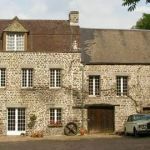 Julie and Nigel would like to welcome you to Walnut House and Walnut Cottage situated in the rolling hills of Normandy. 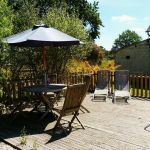 Set in five acres of land with picnic areas for outside dining, your holiday can be tailored to suit your needs from self-catering to B&B including home cooked evening meals. 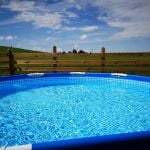 Walnut House will sleep up to six people with an open plan living and dining room, it has a fully equipped kitchen and a washing machine, gas stove, microwave etc outside there is a solar heated splash pool (available June to September). Walnut Cottage (suitable for a couple) was originally built in the 16th century and has been lovingly restored to combine a high standard of modern comfort with traditional stonework and a dramatic fireplace which provides for a cosy winter fire and makes the cottage available all year round. 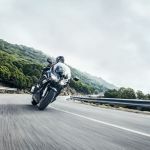 With great rides on excellent roads the properties are around an hour from Mont Saint Michel, Bayeaux, the D-Day landing Beaches - Utah and Omaha, Museums, Military Cemeteries and Memorials. Close to the spectacular Vire Gorges, Saint Sever Forest and the beautiful Lake Dathee. 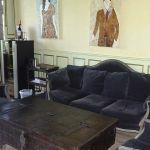 A five minute ride to the center of Vire where there are plenty of restaurants, cafes and bars, along with historical monuments, river walks and local market. They can offer shopping prior to your arrival, flexible change over days and all bedding and towels are provided. Flat Screen TV, Free Sat HD Box, DVD player and a selection of DVDs are available to provide all the comforts of home away from home. Free Wi-Fi. Secure parking for motorcycles and a maintenance area to check tyre pressures, oil, chain etc. 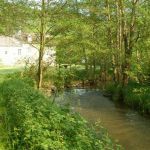 An 18th century watermill situated in the quiet Durance river valley in the heart of rural Calvados, known as the Suisse Normande, so named because of its similarities to alpine terrain. Originally a corn-grinding mill and bake house, the watermill was later used by the occupying forces in WWII as a base to service tanks. 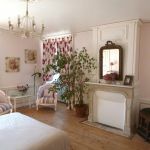 The house has since been renovated throughout, yet still retains much of its original character. The waterwheels are still in operation today and generate electrical power. 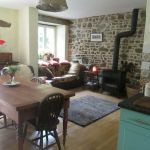 The mill has a ground floor apartment which comfortably sleeps up to four people, with two double bedrooms, a combined lounge/kitchen/diner with an adjoining shower/wc/laundry room. 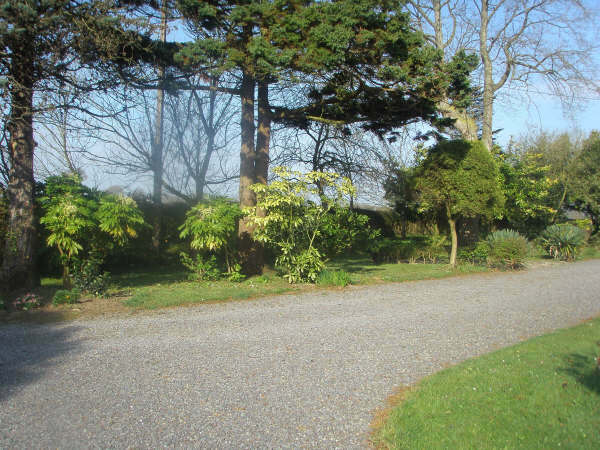 The property sits in ten acres of grounds with hill woodlands, grass meadows and bordered by a river. The house is well stocked with local maps, tourist guides, pamphlets and current information on all what’s going on in the area. These include information on local amenities, bars, restaurants, excursions and all the must see attractions. Easy access to major routes and an ideal base from which to head out and explore the region, with exceptional roads for the motorcyclist. 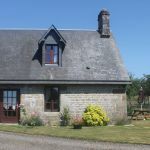 Close to the market town of Condé sur Noireau, just over an hour from the coast and within an easy ride of the Normandy landing beaches, Mont St Michel and many other attractions that Normandy has to offer. A great retreat after days out exploring, providing a peaceful environment in which to relax, take it easy and plan for the next day’s outing. Free Wi-Fi. Motorcycle washing facilities. Garage tools for maintenance and compressor available. Garaged and private parking. 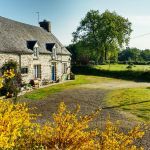 Situated at the end of a secluded lane, La Buissonniere is a cosy self-catering gite, sleeping up to four people in double and twin rooms, with all bed linen and towels provided. Welcome baskets are provided and owners Sandra and Richard (originally from the UK) will happily ‘get the shopping in’ for your arrival, by prior arrangement if desired. A spacious, comfortable beamed lounge, well equipped kitchen diner and a garden with sunloungers, table, chairs and a barbecue, ideal for alfresco eating! They have a popular any-day changeover to offer better travel options for guests and offer short breaks (2 nights) and longer stays. 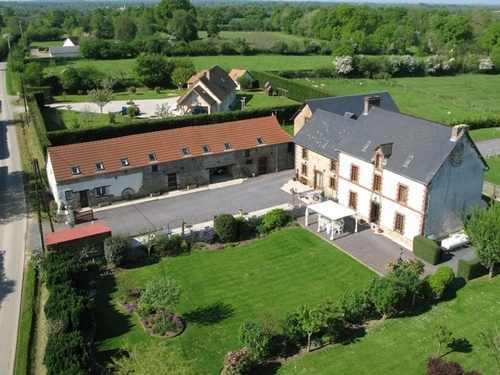 Just five minutes from Le Teilleul’s boulangeries, boucheries, bars and supermarket and ideally situated for great rides on the many excellent roads in this beautiful area of Normandy, including many historical sights and the stunning west coast beaches in the bay of Mont St. Michel. Within easy distance of the ferry ports of Caen, Cherbourg, St. Malo and Le Havre, with Calais and the tunnel 450 (ish) km away. Able to offer 20% discount with Brittany Ferries with bookings. Free Wi-Fi. Motorcycle washing facilities. Garaged parking. A traditional French farmhouse owned by Hazel & Stephen. 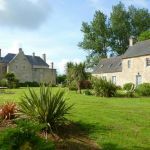 Situated in beautiful Normandy countryside, within easy reach of the ports of Caen and Cherbourg, historic Bayeux , Mont St Michel, the historic Normandy D-Day landing beaches and museums. A guest lounge and a bar with a pool table for those all important relaxing evenings after a days ride. Evening meals are available on request. If your travelling to France with Brittany ferries they also have a 20% discount code available for your crossing when a confirmed reservation is made. 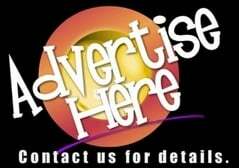 If you need any further information please do not hesitate to contact Hazel & Stephen to discuss your needs. Free Wi-Fi. Drying room and Motorcycle washing facilities (on request). Garaged and private parking. 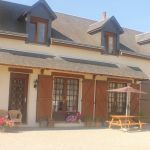 An 1820's farmhouse, set in 2.5 acres, situated in the beautiful Normandy countryside, offering excellent comfortable homely accommodation and facilities including three areas to stay and a bar area. 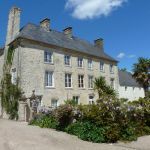 Ideally situated for the major ferry-ports of Cherbourg and Caen (Ouistreham) and the key attractions of this truly delightful and historic region. Close by are the D-Day sights such as the Normandy beaches, WWII museums, military cemeteries and memorials. Heading in any direction from La Tringale there are the most amazing roads which are truly a delight to ride. 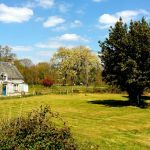 Accommodation includes The Cottage, The Gite and B&B in the main Farmhouse for families or groups of up to 25. 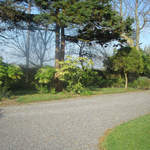 All have been tastefully renovated and are very comfortable and homely. There are patio areas and there is also a bar area above the Motorbike park. Wherever you stay you will be presented with a welcome pack of tea, coffee, milk and sugar. All bedding and towels are provided, plus shower gel and shampoo. There are large gardens with BBQ's and picnic benches. 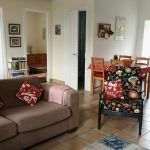 Your holiday can be tailored to suit your requirements from ‘self-catering’ to ‘B and B’, where they can provide home-cooked evening meals in the dining area in the main Farmhouse. The choice is yours. 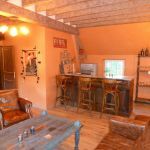 Beers and wines are available in all of the properties as well as the convivial bar area. 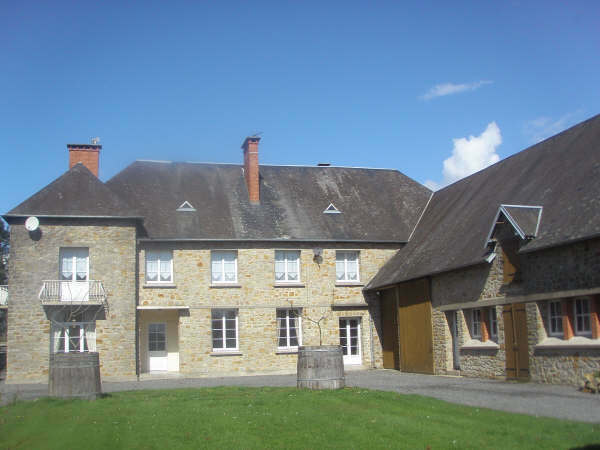 What could be better than to spend a day sightseeing and riding the beautiful Normandy countryside only to return and freshen up, have a nice home cooked meal and spend a few hours relaxing in the bar! Laundry room, workshop, specific bike park area and large secure parking. 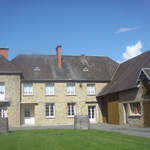 A popular place with visiting Bikers and they offer Group rates. For more information or to discuss your holiday requirements, just contact the friendly owners – Andy and Jill who will be more than happy to deal with any queries or requirements. 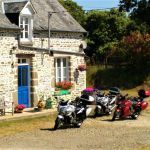 With great rides on excellent roads the properties are around an hour from Mont Saint Michel, Bayeaux, the D-Day landing Beaches - Utah and Omaha, Museums, Military Cemeteries and Memorials. Close to the spectacular Vire Gorges, Saint Sever Forest and the beautiful Lake Dathee. A five minute ride to the center of Vire where there are plenty of restaurants, cafes and bars, along with historical monuments, river walks and local market. They can offer shopping prior to your arrival, flexible change over days and all bedding and towels are provided. Flat Screen TV, Free Sat HD Box, DVD player and a selection of DVDs are available to provide all the comforts of home away from home. Free Wi-Fi. Secure parking for motorcycles and a maintenance area to check tyre pressures, oil, chain etc.